Since I’m still playing around with different juice combinations, I thought it would be fun to create one specifically for this time of the year. When I think of autumn I think of coloured leaves, Halloween, crisp & cold days, chai lattes and of course pumpkins. 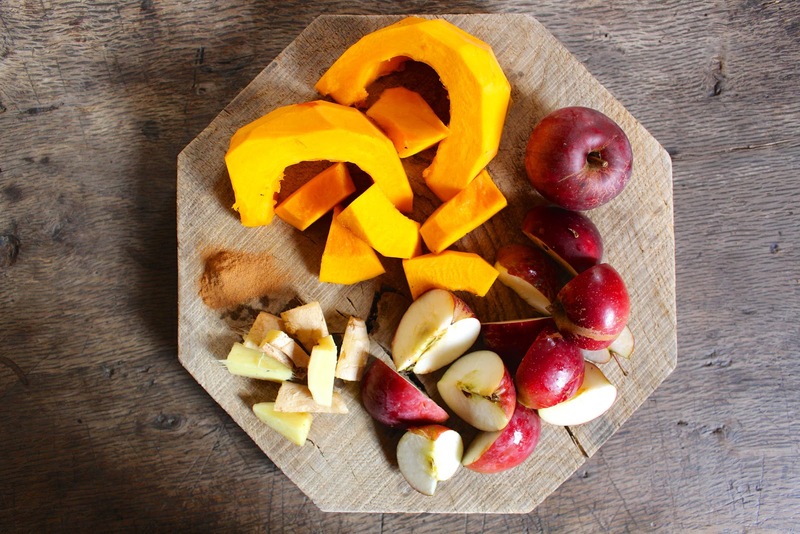 So inspired by this all, I decided to create a juice with the star ingredient being pumpkin. 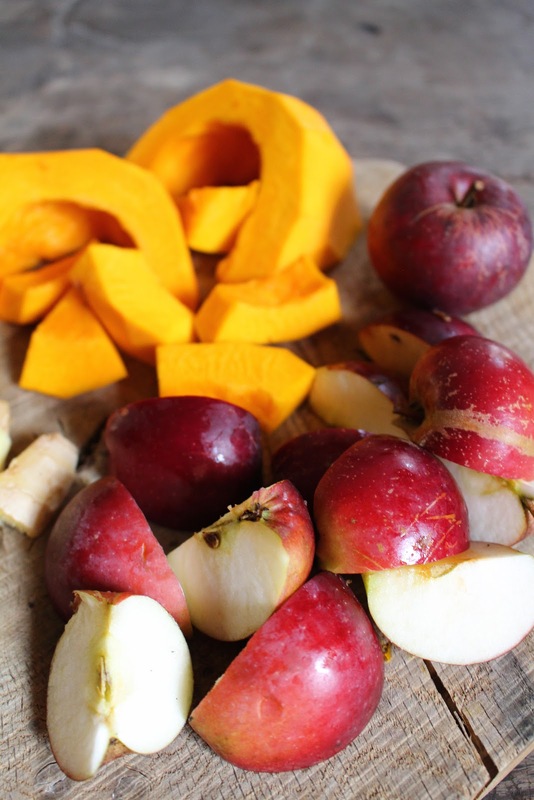 You might not feel like drinking a freshly cold pressed juice during fall, but this recipe is very fall-proof and really delicious. You only need four ingredients for this juice, and you might have them lying around in your kitchen already! This recipe makes one big glass of juice. Start by juicing the pieces of pumpkin. I kept the pumpkin pulp so I could later add it to my banana bread. I used this recipe from Donna Hay and simply added the pumpkin pulp as an extra. A tip from me: if you want to use the pulp of a certain vegetable/fruit, I always juice it first and put it apart so the pulp doesn't get mixed up with the other pulp. Next up, juice the apples and ginger. I used less ginger than you can see in the picture above, I think three pieces. When the juicing is done, add a pinch of cinnamon, stir well, pour in a nice glass and dust some extra cinnamon on top. 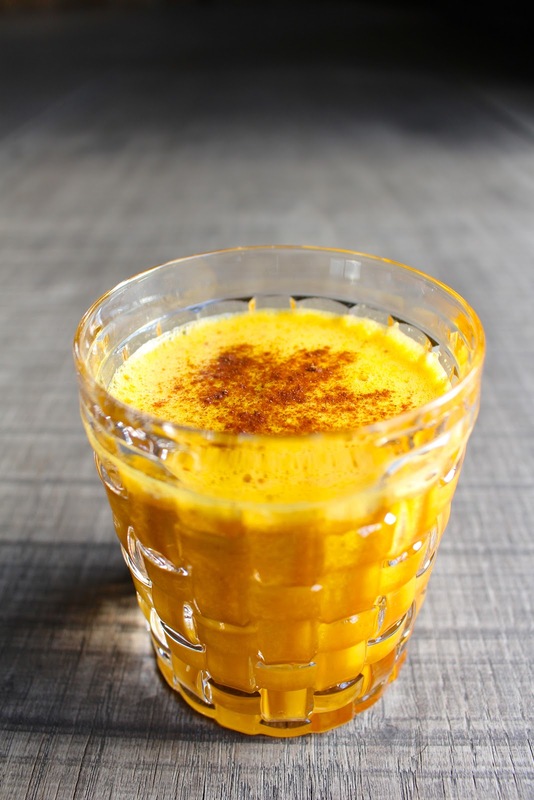 The pumpkin makes the juice really creamy and smooth, so in combination with the cinnamon and the ginger kick it's really perfect for autumn! A surprising combination, really different than the juices I usually make. So delicious though, try it!